The problem with most mops is that they get too wet and put too much water on your floor, either that or they’re just too bulky and can’t reach those smaller spots under tables, couches, and chairs. 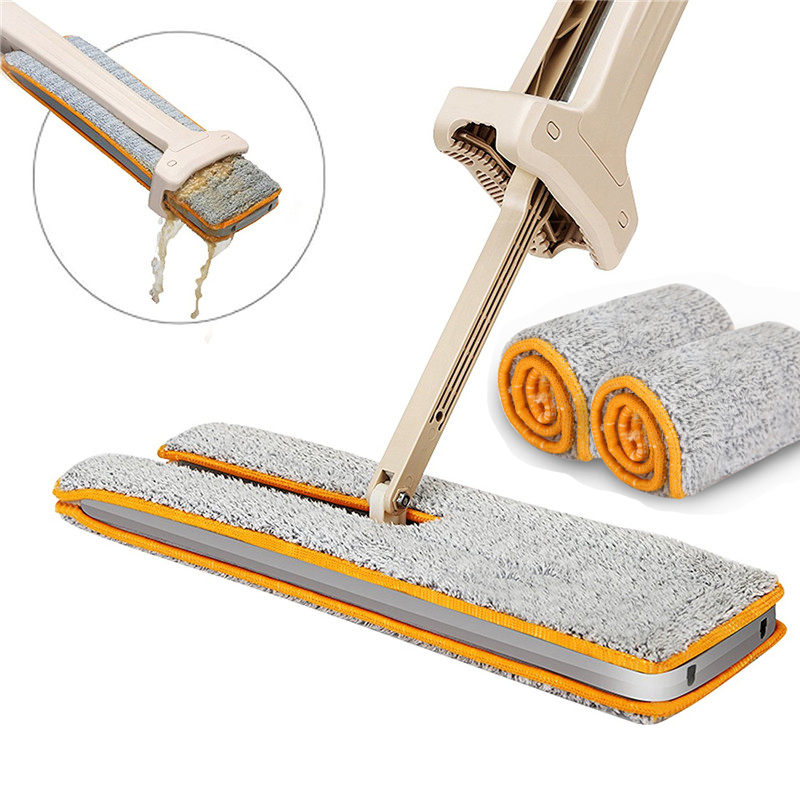 This incredible double-sided mop will wring itself out to get the perfect amount of moisture on the mop. Plus when one side gets dirty you can just flip it to the other side, and continue cleaning your floor. 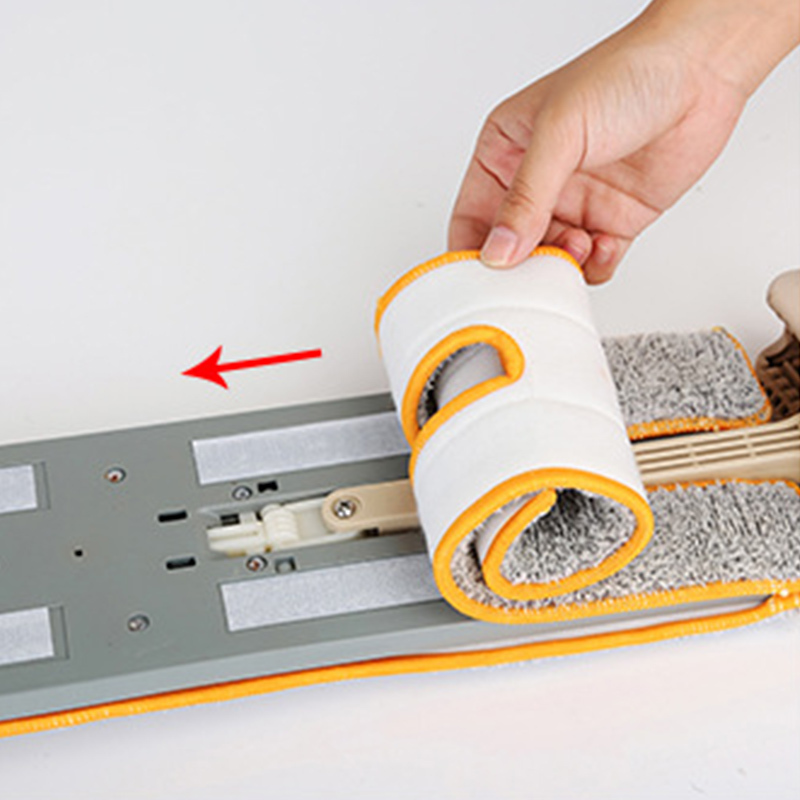 Not only does it self-wring out the excess water, and have two mopping sides, but there’s even a slot in the middle of the mop that lets you get right around the legs of your couches, tables, and chairs perfectly. 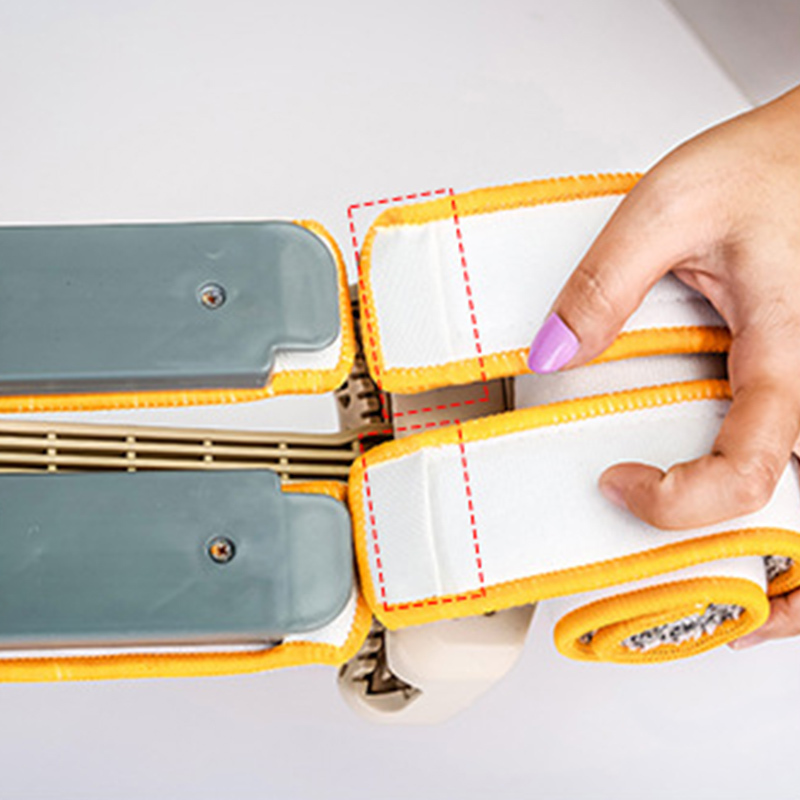 The handy self-wringing double-side mop uses a removable and replaceable microfiber cloth that is easily cleaned in the washer. Using double-layered fiber cotton, the mop can soak up an extreme amount of dirt and water before needing to be cleaned. We have tile floors, and normally take out our huge vacuum and go over the floors to pick up sand, then wet mop. This mop has made my life a lot easier! It picks up sand, hair, dirt, and any little thing that gets drug into the home. It swivels around furniture and bends underneath chairs, couches, and cabinets with ease. I’ve used it almost daily since it arrived. Nice product, cleaning the mop head is completely hands-free. I don’t need to touch the mop head. It also dries very easily. The surface area of the mop head is much larger than my former Swiffer, it gets the job done much faster and requires much less effort. Love this mop so much, I used to clean my room by myself, really tired and sometimes not clean in the corner. This one is very convenient and really easy to use, I do not need Rubbing the floor. This mop was easy to assemble and worked really well. I used it with a cleaning spray and the mop left the floor clean and spotless. The microfiber cloth picks up the dust with ease. I highly recommend it to anyone if they are looking for a new mop.